Home » Christian Devotionals » Gospel Topics » The Rapture » What Is the Rapture? 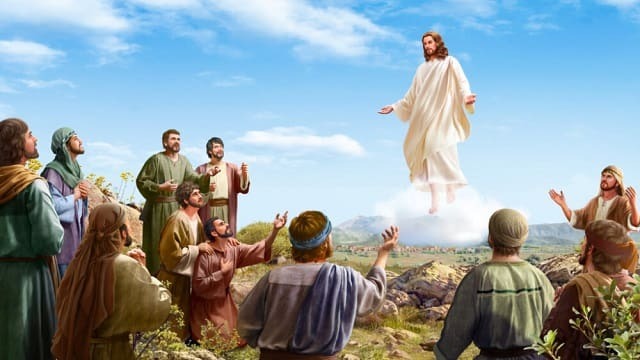 The sister continued speaking, “Jesus said: ‘And no man has ascended up to heaven, but he that came down from heaven, even the Son of man which is in heaven’ (John 3:13). From Jesus’ words, we could see that aside from the Son of man who came down from heaven, who is the incarnate God, nobody else ascended into heaven. Heaven is God’s throne. Only God Himself can ascend to this high place. As human beings, we cannot ascend into this high place to see God. Instead, when God first created man, He predestined that mankind would live on earth. God used the earth to create mankind’s ancestors Adam and Eve and helped them settle in the Garden of Eden. They listened to God’s words, received God’s blessings and managed everything within the garden. Afterward, mankind would also manage everything on the earth but not in heaven. When mankind was corrupted deeply and the earth was full of corruption and violence, God decided to use a flood to destroy the world. God saved Noah a righteous person who worships God but God did not rapture him into heaven so that he would avoid the flood waters. Instead, God made Noah build the ark. When the floods came, Noah’s family of eight took shelter in the ark. After they emerged from the ark, Noah and his family continued to live on earth and multiply. During the Age of Law, the Israelites suffered under enslavement by the hands of Egypt’s Pharaoh. When God led the Israelites out of Egypt and helped them escape the Pharaoh’s hunting, God did not rapture the Israelites into heaven. Instead, God showed His authority on earth by performing all sorts of miracles so that people could witness God’s almightiness and know God’s wisdom and how wonderful He is. Afterward, God issued His laws and commandments through Moses and guided the Israelites on how to live on earth. During the Age of Grace, when mankind was unable to adhere to the laws and faced the dangers of execution, man did not go to heaven to atone for his sins. Instead, God incarnated into the image of Jesus and came down to earth. To save mankind, He was nailed to the cross. This was the only way for man to obtain the Lord’s salvation. Clearly, we, as human beings, belong on the earth. God predestined us to live on the earth. Additionally, Jesus taught us: ‘After this manner therefore pray you: Our Father which are in heaven, Hallowed be your name. Your kingdom come, Your will be done in earth, as it is in heaven’ (Matthew 6:9–10). The words that the Lord speaks contain His intentions. The Lord wants us to worship Him on earth. Christ’s kingdom will also descend onto the earth. There is a prophecy in the Book of Revelation that reads: ‘And I heard a great voice out of heaven saying, Behold, the tabernacle of God is with men, and he will dwell with them, and they shall be his people, and God himself shall be with them, and be their God’ (Revelation 21:3). Clearly, our desire to be raptured into heaven to meet the Lord is completely our own notion and imagination and it is absolutely not a fact.” After I listened to my sister communicate, I understood very clearly that regardless if we look at the work that God did in the past or the Lord’s prophecies, God never mentioned that we would be raptured into heaven. If we still believe that God will return and rapture us into heaven, isn’t this our own notion and imagination? Isn’t this our own delusional thinking? Fundamentally, this is not in accordance with God’s words and intentions! My heart felt like things had cleared up. However, I still had one more question: Even though our acceptance of rapture is wrong, just what does rapture refer to? I continued to ask this sister to seek in regard to this question. After this sister left, I repeatedly reflected on what she said. I recognized that if we want to be brought before God, the key is that we must open-mindedly seek the words that the Holy Spirit speaks to the churches. We must be clever virgins and proactively seek and investigate the Lord’s voice. In this manner, we will be able to welcome the return of the Lord and be brought before God! At this moment, I thought of one of Jesus’ teachings: “Blessed are the poor in spirit: for theirs is the kingdom of heaven. … Blessed are the pure in heart: for they shall see God” (Matthew 5:3, 8). I am thankful that God’s enlightenment has helped me find a practical path. I finally understand the true meaning of rapture. Presently, all sorts of disasters are occurring one after another in countries around the world. The great disaster is before our eyes and seeking God’s appearance is imminent. Today, only The Church of Almighty God bears witness to the fact that the Lord has already returned. Additionally, the gospel of The Church of Almighty God has already reached all corners of the globe. Its books, videos and movies are available online and people from all around the world can access them and investigate. Right now, the only thing that I should do is to investigate Almighty God’s words immediately and see whether or not Almighty God’s words are God’s voice and the truth. This is the most crucial major event when it comes to welcoming the return of the Lord!